Cambio Services - LASCO Financial Services Ltd. Lot 2 Pointe Crescent, Ocho Rios. 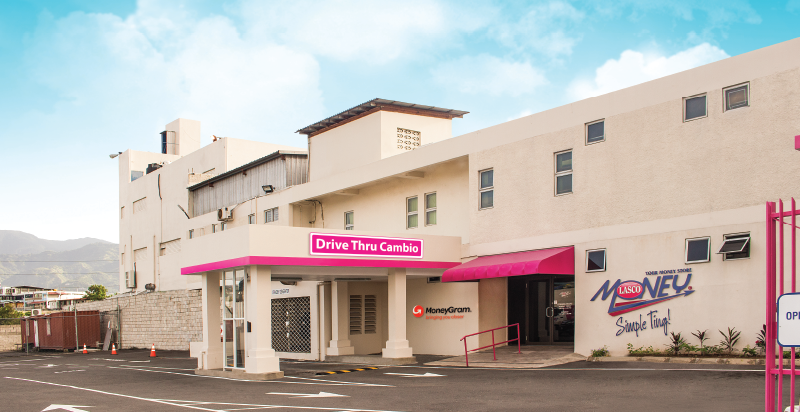 Our main branch on Red Hills Road has a drive-thru facility to add convenience and comfort to the customers’ experience. No Cards Accepted. Cash ONLY. Our rates are especially competitive with banks. We open as early as 8:00 am. Call us at 1 888 LASCASH (527 2274). Foreign exchange rates are subject to change on a daily basis. All Cambios are governed by the Bank of Jamaica. Cambios are guided by KYC (Know Your Customer) guidelines. Customers need to provide their full name. Customers need to disclose their current address and telephone number. Customers must present a valid identification card (Passport, Voters ID or Driver’s License) with TRN. Customers are required to complete a source of funds declaration form for transactions US$1000 and over or after first visit.